I can’t think of a better way to spend Sunday morning than sitting around eating a big brunch. That’s exactly how we spent our Mother’s Day. It was lovely. Despite cooking for 9, I managed to keep it low-key, so more of the morning was spent at the table enjoying than slaving away. The real challenge proved to be keeping mum out of the kitchen! An absolute gem cook, and super mum, she is certainly to blame for my cooking obsession. I kept the cooking simple with just one savoury and one sweet dish; baked eggs with tomato, spinach and feta, and simple gluten free waffles with Chobani natural greek yogurt, fresh fruit and some cheeky maple syrup. You’re probably thinking that doesn’t sound very lactose-intolerant-friendly, but feta is actually very low in lactose and can be tolerated in small portions. Natural yogurt, like Chobani and Jalna, is also naturally lower in lactose than regular yoghurt due to the straining process – which you can read about here.Despite the low lactose, I still only eat this as an occasional treat. Back in the day before any diet changes, and when the waffle machine was a novelty in our kitchen, I used to make waffles from that little recipe pamphlet that came in the waffle machine box. It was one of my favourites. I was a little devastated for a while post fructose diagnosis, thinking these had left my life forever. After a few sad waffle free brunches I realised I could enjoy practically the same waffles just with a few alterations and healthier toppings. I substituted wheat flour with a gluten free flour mix by weight. This is not always an option as gluten-free flour comes in all different types, textures, weights and combinations, but the combination worked a treat this time. Lightly coat ramekins with oil and prepare your ingredients. Dice cherry tomatoes into quarters and roughly chop basil. Combine and set aside. Place a small fry pan on medium heat with a drizzle of olive oil. Add spices and cook for a minute until fragrant. Add canned tomato and a sprinkle of salt and pepper. When it begins to boil, reduce to a simmer for 5 minutes. Add spinach to the pan, stirring til all has wilted. Take off heat and set aside. Preheat oven to 180°C and assemble the ramekins. Distribute the spinach mix, and cherry tomato mix into the ramekins. Carefully crack 1 or 2 eggs in each. Season with salt and pepper, and crumble feta over the top. Bake in the oven for 10 minutes then turn the grill on for 5 minutes to finish cooking the eggs. More or less time may be needed depending on how you prefer your eggs. 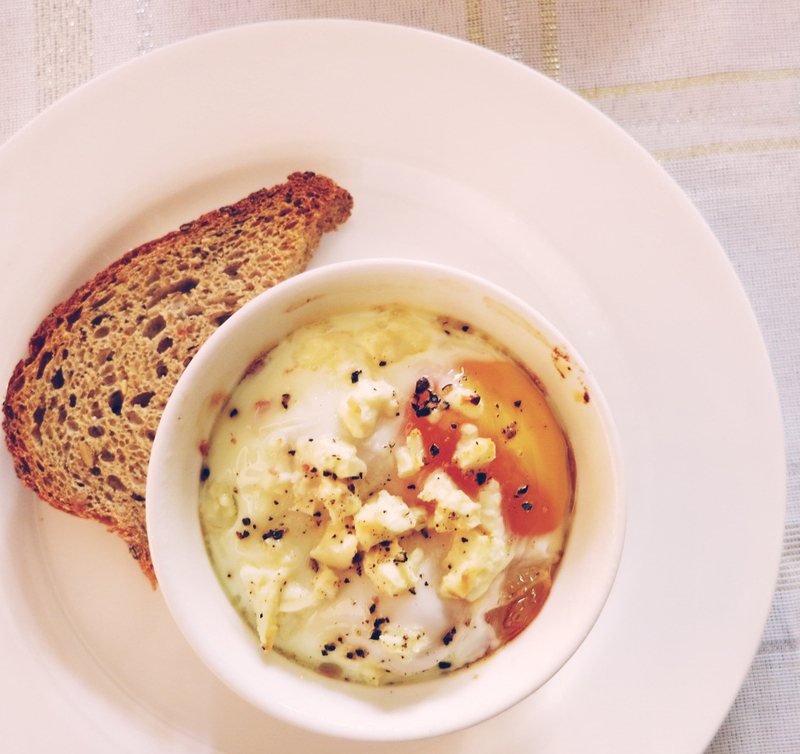 Serve with a piece of crusty bread and enjoy! Beat egg whites until soft peaks and set aside. Beat eggs yolks and sugar in a separate bowl, then add milk, water and vanilla, mix well. Add dry ingredients and melted butter, beat into a smooth batter. Fold egg whites into batter. Allow to stand for 10 minutes, and preheat waffle machine. 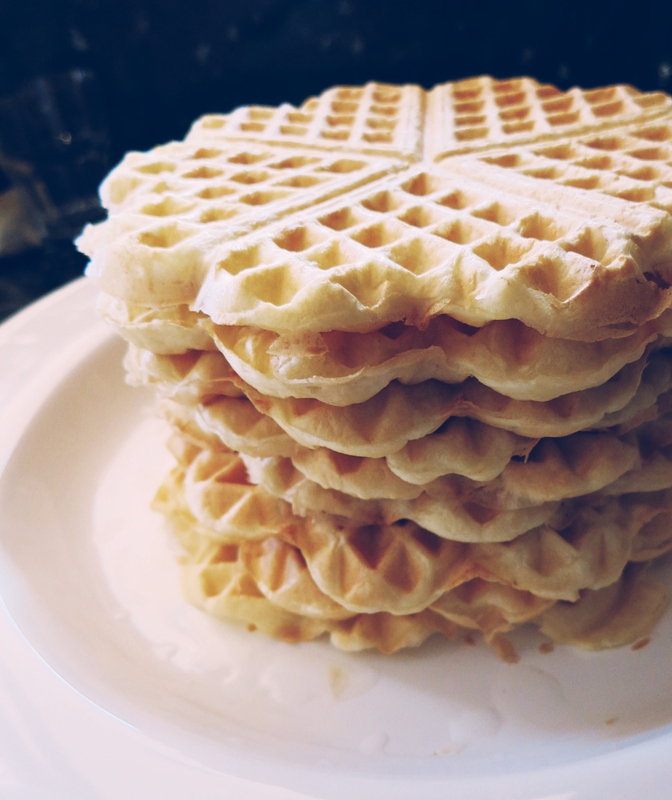 Use about 1/2 a cup of batter for each waffle, cooking each for a few minutes til golden brown. Serve with natural yoghurt, fresh fruit and a drizzle of maple syrup.